The Russian currency shows "resistance" because the scale of its attenuation is much lower than the drop in oil prices. In 2016 the country’s actual amount of payments for foreign debts will fall to $50-55 billion. It means that there is a reduction in the demand for foreign currency, which in turn will benefit the ruble’s rate of conversion. Despite the drop in oil prices Russia’s economy is still generating enough currency to pay off debts. According to the Central Bank, in 2015 Russia's foreign debt declined over the past year by 14 percent from $599 billion to $515.3 billion. It means that from a peak of $732.8 billion recorded on July 1, 2014 the external debt has diminished by $117.5 billion over the last 18 months. Public debt in the past year decreased by $1.6 billion to $30.7 billion. Overall, the economy proved to be quite resistant to strong external shocks, in particular to the fall in oil prices, which last year reached 45 percent according to analysts at Sberbank CIB. 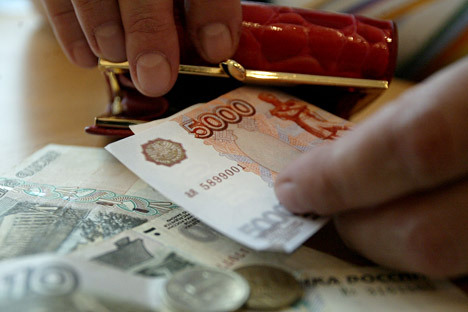 The Russian currency, according to Igor Dmitriev, head of the department of monetary policy at the Central Bank, shows "resistance" because the scale of its attenuation is much lower than the drop in oil prices. Sofia Kirsanova, an analyst at Raiffeisen Capital Management, said that since the beginning of the fourth quarter of 2015 the price of petroleum has decreased by 43 percent, while the domestic currency has lost only 19 percent of its value.